To try out this example, extract the following attachment to the \data directory of your application installation path (by default, C:\Program Files\RSSBus\RSSBus Connect\data\). This will create additional port configurations on disk that the application will detect when the Ports section of the administration console is refreshed. RSSBus Connect integrates seamlessly with cloud-based CRM accounts, making it easy to automate manual tasks like uploading data to your account. The following sample project demonstrates how different ports in RSSBus Connect are used to automatically import contacts from CSV files into Salesforce. 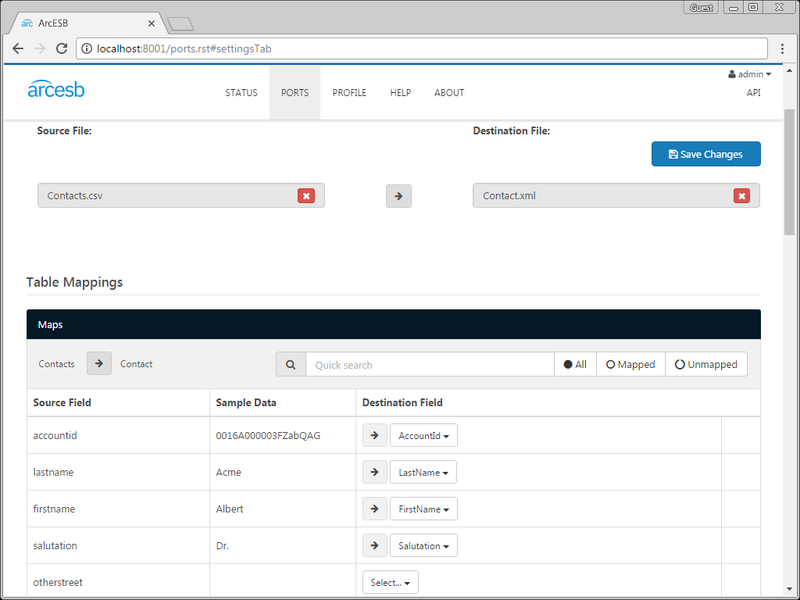 The sample port periodically reads new CSV files and pushes the contacts to Salesforce. To get started with the sample, download and install RSSBus Connect (free 30-day trial). Then download the sample project and extract and copy the contents to the "data" folder in the installation location for RSSBus Connect. For Windows installations, this is likely C:\Program Files\RSSBus\RSSBus Connect. Please consult the documentation for the Java build of RSSBus Connect for Linux/Unix/Mac installations. The mapping port MAP_CSV_to_SF is used to map the contacts in incoming CSV files to Salesforce Contact entities. CSV files placed in the Send folder are converted to XML and automatically sent to the Salesforce port to await further processing. To manually push a CSV file, upload a file on the Send tab: Click More -> Upload File. Click the Send button to process the file. 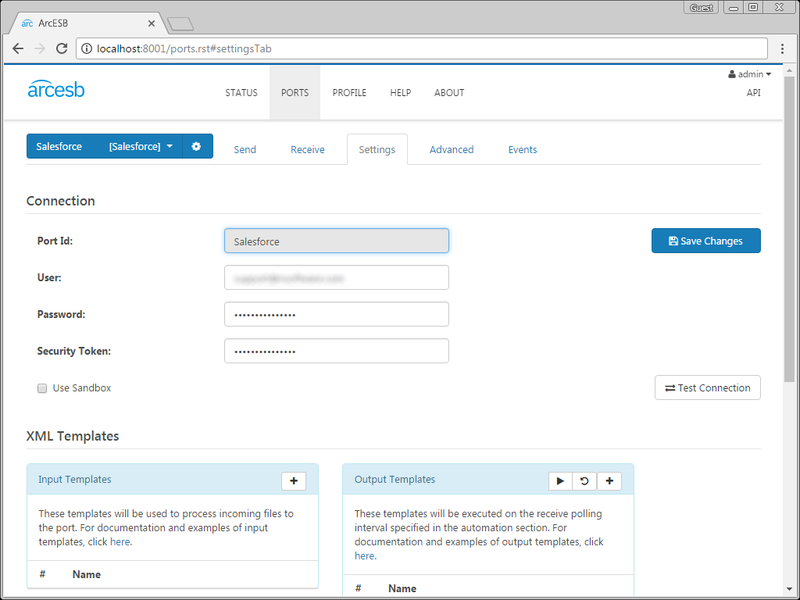 The Salesforce port reads incoming XML files and posts the data to the Salesforce APIs. If a contact already exists, the port executes an update. Otherwise, the port performs an insert. Configure the username, password, and security token fields in the Salesforce port Settings tab. You will also want to set the advanced Use Bulk API setting to true to ensure that bulk uploads are performed as efficiently as possible. Just like with the mapping port, this port has already been configured to automatically process new files added to the Send folder. View these options in the Settings tab under the Automation Settings section. As you can see, with RSSBus Connect, it is possible to automate your cloud data accounts, pushing collections of contact information stored in a CSV file to Salesforce. For more information on RSSBus Connect, visit our home page. Download your free, 30-day trial and start controlling your business document exchange today!